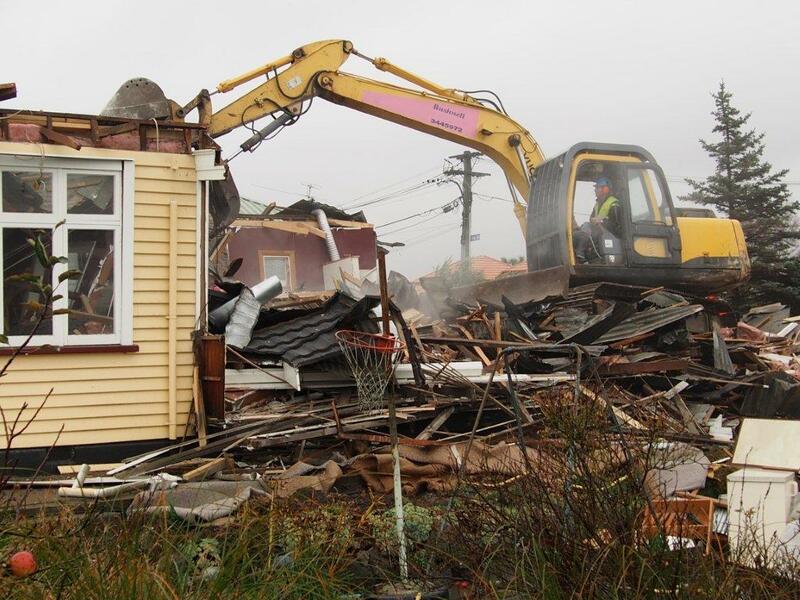 Typhoon Civil are specialist demolition contractors in Sydney. We carry out a very wide range of different types of demolitions, from simple jobs to complex demolitions for major projects and on difficult sites. Demolition is a very common practice in Sydney as the building boom replaces old buildings and reforms the urban environment with new commercial developments and designer homes. Many demolition jobs are also rebuilding projects for renovations, extensions and redevelopment purposes. 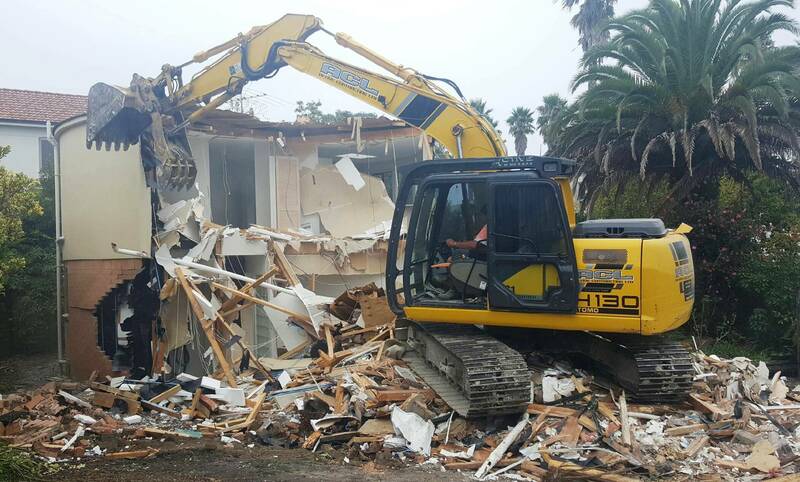 Our demolition services cover all aspects of these different types of demolitions. Our expert teams have a very high level of experience in the most complex demolition environments, including demanding sites and complex terrain. We use only top-quality equipment and up-to-date modern onsite safety methodologies to ensure best practice risk management and proper conduct of demolition operations. We strictly comply with all safety and hazard management regulations. We incorporate modern risk management practices into all demolition works. If you need a do-everything company for your project, talk to us. Typhoon Civil is unique in offering a full spectrum of demolition contractor services. 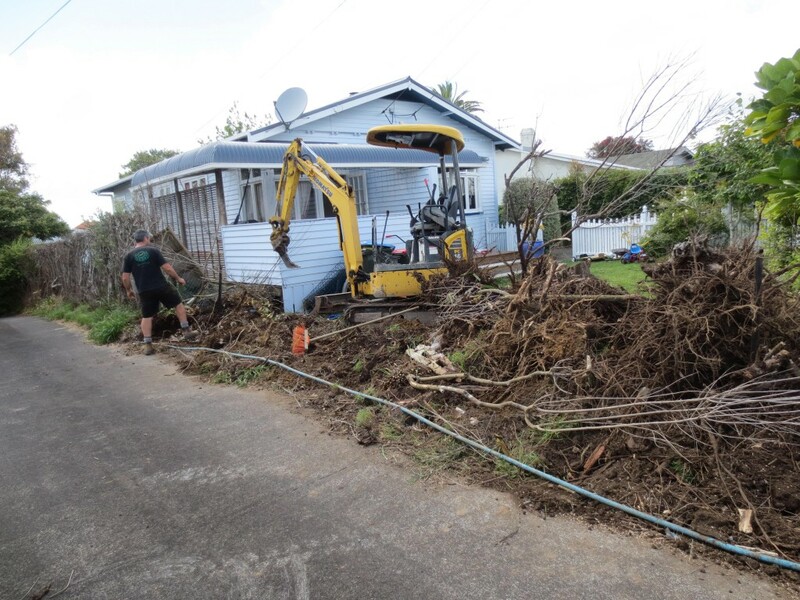 Our demolition services are also integrated with our excavation contractor services, asbestos removal and specialist work like rock excavation and rock sawing. Therefore, we can offer every service your project needs on this basis. We’re structured to deliver a “tick all the boxes” service for any type of construction project. Our services are fully scalable and technically advanced. No project is too difficult for us. We regularly work with developers, builders, engineers and architectural experts in complex building environments. We can also assist with technical advice and guidance regarding complex demolitions or difficult sites. For all your demolition and related works, just call Typhoon Civil. Discuss your needs with our experts. Call 1800 897 466, contact us online or use our live chat service right now, we’ll be happy to assist.